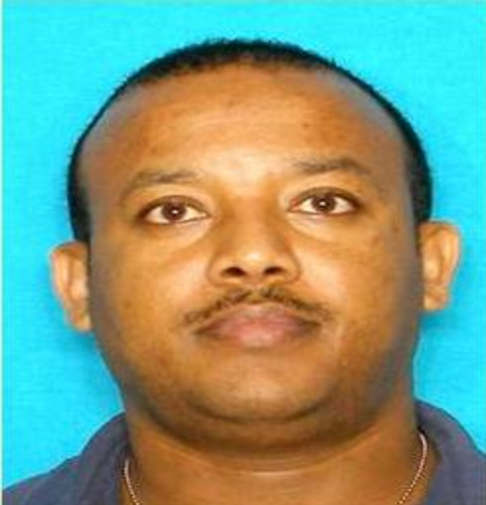 August 19, 2012 — Abey Belete Girma, the man suspected of killing an Ethiopian couple in Dallas, was captured and placed in custody in Aurora, Colorado last night. An official of the Aurora Detention Center said the 37-year-old suspect is currently awaiting extradition to Texas, where he is likely to face the death penalty if convicted. Dallas Police said he fled the state after he allegedly shot to death 40-year-old Desta Yenenesh and 31-year-old Lemma Yayehyirad on the door steps of their house Wednesday morning. Girma later admitted to his friend that he followed them home and shot them because they had 'disrespected' him. The tragic double murder has stunned the tight-knit Ethiopian community in Dallas. Many were also in disbelief after learning an Ethiopian was named the suspect. The couple, which owned a popular Ethiopian restaurant named Desta on Greenville Avenue, leave behind a one-year-old son.